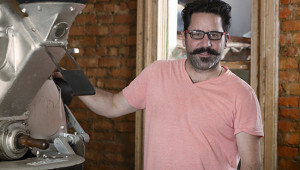 Jake Easton, founder of Tribe Coffee Roasting, wraps up Cape Town’s burgeoning coffee culture, throwing in a few flavourful facts for good measure – your next cafe conversation is taken care of. Tasting chocolate, sure, but making it? Michael and Anthony, the owners and founders of Honest Chocolate, speak to us about the joy of turning a home-kitchen hobby into a thriving artisan chocolate store.